The Central Government Employees as per the call of the National JCA organised massive demonstrations on 30th December 2015 focussing the demands raised about wage revision and modification of the VII CPC Recommendations. Lakhs of workers participated all over the country. We fully support the demands and express solidarity. The process for the VII Membership Verification of Unions in BSNL for grant of recognition has started. The preliminary meeting to discuss the same with the unions is scheduled to be held at 10.00 AM on 11th January 2016 on the 9th Floor Conference Hall of BSNL Corporate Office. It is necessary that certain undemocratic conditions in the revised Recognition Rules of 2014 need to be changed. This may also has to be discussed in the meeting. IDA is eligible to be increased by 4.5%, with effect from 01-01-2016. At present the IDA is 107.9%. The IDA will be from January will be 112.4%. DPE orders are expected. Bharat Aluminium Company was one of the first central PSUs to be privatised. It was handed over to the Vedanta Group in 2,000 as part of the privatisation policy of the government, despite strong protest and strike by the employees. Now Government is having 49% share, but the entire management is only with the Vedanta Group. Within 15 years, BALCO, which was the pride of the nation has gone down and is in loss. Already thousands of workers have been retrenched. There are still about 1,000 workers, whos future is in peril. The management states that the company is in loss due to non-demand of aluminium products and reduction in international prices. All the unions in the BALCO has now approached the Prime Minister to help the company so that the workers do not lose their jobs. A detailed petition has been submitted signed by BMS, INTUC, CITU, AITUC and HMS. Privatisation is not the panacea for all the ills that the PSUs are facing. I make a brief written report on the grounds that it is the only way to share the experiences that any trade union leader collects in each one of their activities as such. I did this trip because I could not be replaced, nor by comrade LazareKimankaka (Democratic Republic of the Congo), nor by comrade DimosKoumpouris (Greece), nor by comrade José Mª Lucas (Spain). I will continue trying not to be the only leader of our UIS that travels. I already knew the reality suffered by the Palestinian people, due to having attended the last Congress of their union UGTP. But I think that we must reevaluate that of fascist genocide has increased. At the end of my report, please see my NOTES ON THE REALITY OF PALESTINE. The Conference consisted of a broad discussion of the reality today in Palestine, particularly the situation of the workers. Were rapporteurs various representatives from the union of Palestine UGTP (which was one of the founders of the WSF 1945), and of various agencies of the Palestinian government. I’ll provide some of the data that we were given in the concluding NOTES. There was also an important intervention by the Secretary General of the WSF, George Mavrikos, that was completed with interventions from the delegations of the European trade unions that were present at the event : Turkey, Greece, Cyprus, Italy, France (3 different delegations), Russia and Spain. Portugal apologized at the last minute. The Conference started with a minute of silence in memory of the constant martyrs of the Palestinian people. The international delegates who arrived first were able to attend the funeral of the last person assassinated by Israel, a young man 27 years old. I sent my intervention to you, as a draft first. In the absence of any proposal for an amendment, it passed to be final and I was able to distribute it (over 100 copies) printed in: Arabic, French, English and Spanish. To evaluate as very positive the results of the Conference, that has given continuity to several that have taken place in previous years. Thanks from the UGTP, and many organizations of masses of Palestine, for our presence and solidarity. Confirmation, by the International trade unions present, of the continuation and expansion of the solidarity with the people of Palestine, starting with the dissemination of their daily reality (synthesized in the final NOTES). Support the next summoning of an International Conference of Solidarity, which will be organized by the USB trade union in Italy. To expand the invitation to leaders of the UGTP to more countries, so, as in France, (invited by the railways trade union), they can explain, with various activities, the reality of the struggle of the Palestinian people against the fascist genocide of Israel. These are the most relevant aspects of the Conference. As complements to these, and in addition to the varied contacts and bilateral exchanges (I offered 10 dishes of the ceramic crafts that we made for our first Congress: two for the UGTP and one for each international delegation present), there was a visit to the tomb of Yasser Arafat, another visit to the area where the Israelites attack children in Ramallah, and a visit to Hebron (we were received by a high official of the Ministry of Construction; we visited the commercial center of the city and checked that the city, in the center, is divided with cement blocks arbitrarily placed by Israel). BSNL’s revenue report data shows that the overall revenue of the company (till Nov-2015) has increased by 2.29 percent compared to last year. However, BSNL has observed that the overall revenue has declined in many circles compared to the same period previous year. ( Telecom News). This is not sufficient. More % of increase is necessary to make the company profitable. 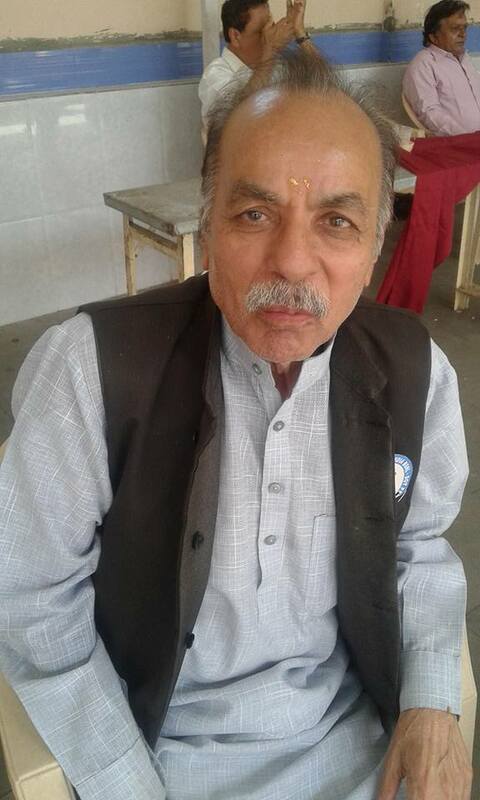 The shocking and sad news of the death of Comrade A.C.Shah, veteran leader of BSNLEU and former Circle Secretary of E.III Union and BSNLEU in Gujarat Circle and former Vice-President of E.III has been received. Com.D.K.Bakutra from Gujarat informed us the sad news today. We were told that he has passed away on 24th instant. A few days back I had contacted his number at Himmat Nagar and was told that he is in hospital in ICU at Indore where his son is doing business. I conveyed his son to convey my regards and wishes for his early recovery. I never thought Com. Shah may leave us all like this. As soon as the sad information was received, I contacted his son Palkesh who informed that his father passed away on 24th and the body was cremated at Indore itself. Com. A.C.Shah, veteran leader of the Telecom workers has left us forever. Comrade A.C.Shah was the leader in Gujarat who supported the E.III Union and built up a strong organisation there. He stood solidly with the CHQ, despite many hurdles. He was a very close friend of mine and we had mutual respect. I had the opportunity to tour Gujarat many times along with him during the verification of membership as also on other occasions. He took initiative to hold the CWC of E.III(N) union in Gujarat, when the organisation was facing severe difficulty. We last met at Jamnagar CEC of AIBDPA in April this year. We discussed about health and family as also matters of the Pensions Association. Though he was weak, I never thought that the end will come so quick. We have lost a very sincere and dedicated veteran comrade who worked full time for the organisation and workers. The fact that he continued to be the District Secretary even after years of his retirement shows his commitment and the trust of the workers in him. Com.A.C.Shah is no more. My heartfelt condolences to the bereaved family, friends and Comrades. He will live in our minds for long time. Red Salute to Comrade A.C.Shah!